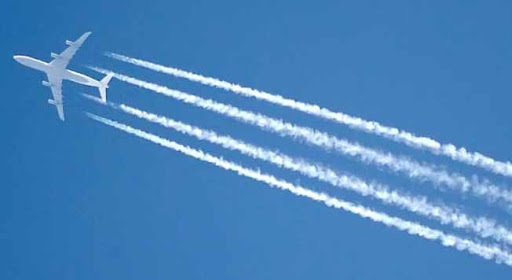 May 1-8 has been declared Canadian Chemtrail Awareness Week. So remember, the next time you see a contrail, think of it as a chemtrail. This message has been brought to you by The Committee for WTF Is In Our Oxygen. This entry was posted in Chemtrails, Conspiracy Theories, Controversies and tagged conspiracy theory. Bookmark the permalink. Hi,just to let you know. Almost since I found about the Presidential airplane crash in Poland (where I live) I was wondering when the "Truth movement" will start and guess what? It started!There is some movie circulating around the Web and bunch of so-called "experts" are "analyzing" the crash on some conspiracy websites. You can actually watch how it emerges. Fascinating, isn't it?Keep posting, because I just love your blog! In the conspiracy world, airplane crashes don't happen. They're always made to happen. Anon, the bottom pic is obviously a chemtrail. They look totally different, and if anyone tels you otherwise it's only because they're beer-belching, TV-watching Obamanoids who drink tapwater and do only what the government tells them to do. Thats fine if you are just making fun…..but real alleged chemtrails look much different from contrails. Hi S.M. Elliott and others,Sorry I am late to this thread.I do like your work. We have a lot in common in regards to noticing internet fakery and other forms of hogwash.Yet, I do disagree with you on this topic. I agree with the last anonymous comment. He or she wasn't being offensive. 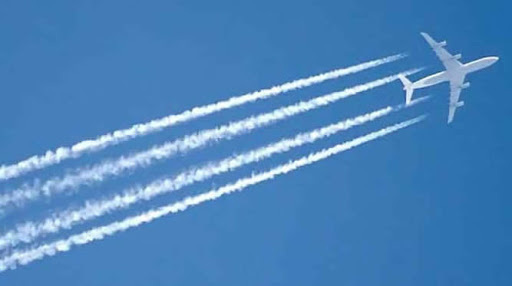 What a lot of us are saying is precisely that chemtrails look totally different from contrails.Most of what is posted about "chemtrails" on the internet is clearly rubbish. I have no difficulty understanding why anyone thinks it's a ludicrous idea based on that. But if you look into the specifics of cloud science, you will see that the idea of chemtrails is anything but outrageous. On a number of occasions I have checked the radiosonde readings in my area for days where aircraft emissions have led to synthetic white-outs. In short, the necessary level of relative humidity was non-existent. I believe "chemtrails" are mostly about blocking out harmful uv-b rays. They have nothing to do with mind control and depopulation, little to do with environmental modification, and are separate from the idea of geoengineering. The latter is something you may want to investigate. Many are trying to get that on the table for serious consideration. Geoengineering for our purposes here would be about creating cirrus aviaticus in the stratosphere using aluminum and other particulates in order to repel solar heat back into space. "Chentrails" are basically too low to get that job done. Thus I go with the uv-b ray schtick. My basic point is that "chemtrails" cannot be compared to L. Ron Hubbard or anything else obviously batsh*t crazy. You have done splendid work exposing Alex Jones. That could be another analogy. There is centralised power in this world. That is fact. However, Alex turns that into some Mickey Mouse conspiracy schtick. The same thing happened with the idea of chemtrails in regards to its portrayal on the internet. For those interested in a rational argument for the existence of chemtrails, they are encouraged to check out this forum. Thanks for your time and consideration. this famous chemitril thing…really make thing in paranoic cosmpiracy theories, do you know about the HAARP? well the last thing I heard is that with this system, the scientifics can alterated the compostion of the clouds, and make that some chemicals fall from the sky in a natural way, what do you thing about this?